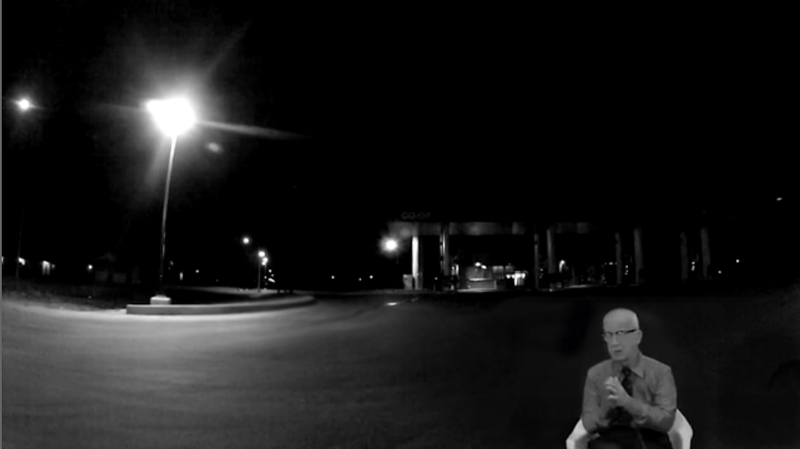 During a severe thunderstorm, Buckminster Fuller appears, disappears, then re-appears at a gas station. He discusses World War I, the shift from animal and human power to machines, the law of thermodynamics, and evolution. If the artist were a futurist, he would predict that the world Fuller describes, or the world we are familiar with today in the early 21st century, will be a very different world in the 22nd century.